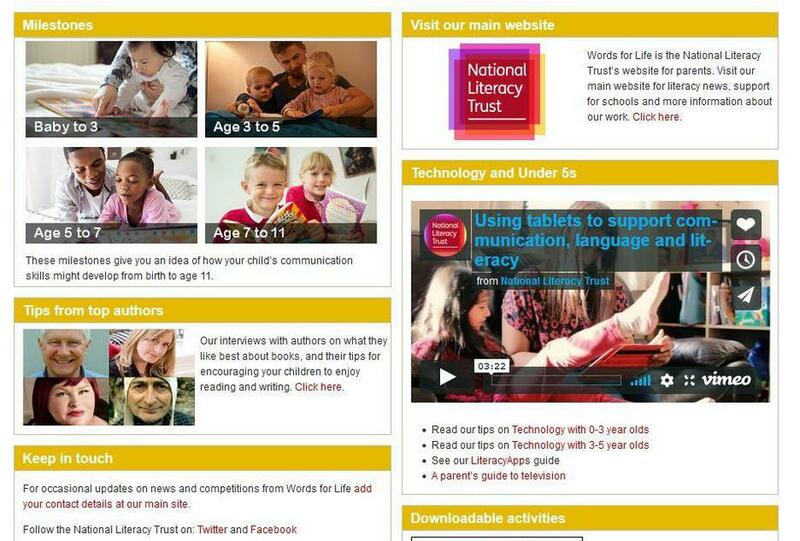 Words for Life is the National Literacy Trust’s website for parents. Parents and the home learning environment have the greatest effect on how a child develops language and literacy skills. Words for Life gives developmental milestones, tips, fun resources and advice to help parents support their children’s literacy development.